Which makeup course should I choose? Makeup School Sydney offers the Accredited SHBBMUP002 Design and apply makeup. Taught by an industry pro, Jay Jay Rauwenhoff, you’ll benefit from her decades of experience in the fashion and bridal industry. This is a pactical, technique-based course and is offered as 3 day intensive or at your own pace online. Certificate lll in Makeup (SHB 30215) is a 3 month qualification for the freelance makeup artist focused on the fashion and bridal industry. This course covers 9 core units and 6 Electives. Work experience and job opportunities are offered after completing this course. During the course, Jay Jay personally notes individual strengths and corrects weaknesses so that every student completes the course with total competence in every aspect of makeup. Students are also offered the chance to purchase products or a professional starter kit in her own brand, Mikatvonk Makeup, but are also free to use their own makeup as well. Jay Jay is a practicing makeup artist, so students who have completed the Makeup School Sydney course have the opportunity to assist her on larger jobs. She also refers paid and work experience opportunities to students who have completed the course. Jay Jay also has qualifications in business and events and gives students hands-on practical information about how to develop their own business. Makeup School Sydney is the best value for money for a Nationally Accredited Makeup Course in Australia today. What is makeup School Sydney? There are two courses available. One course, is the 3-day intensive which is held all day Saturday, Sunday and Monday evening. This course is intended for those students short on time. The second course is the fully accredited Certificate lll in Makeup Qualification (SHB30215) for those students wanting to be the full-time professional freelance makeup artists. It is a combination of comprehensive theory, demonstrations and practice with models. Both courses teach the theory and practice of beauty makeup and provide the students with the professional qualification required to work in the lucrative fashion, TV, formals, catwalk, and wedding makeup industry. Makeup School Sydney is a boutique makeup college with small student class sizes. A lot of time is devoted to one-on-one instruction and discussion with each student. The minimum age requirement is 15 years. Who is Makeup School Sydney? Classes are taught by Jay Jay Rauwenhoff, a Paris-trained international model, makeup artist and accredited teacher. Jay Jay has 28 years experience in professional makeup and has acquired a vast collection of ‘tricks of the trade’ as she is a working international makeup artist for models and celebrities. Students learn about the current global styles and latest techniques. What is the Makeup School Sydney course experience like? Each of our courses at the Makeup School Sydney are very intensive. There is a lot of technique-based education, detailed demonstrations and many practical exercises. The classes are informative, interesting, challenging and best of all, fun! The course has a defined structure and the teacher-student relationship is very professional. The final practical exercises are under simulated real-life conditions. These are essential for students to develop the technical skills and speed necessary to be a professional makeup artist. How many people are usually in the Make Up School Sydney course? We have between 3 and 10 students in the class (a lot less than many other schools as we like to keep it small enough to give personal instruction and feedback). Where is the Makeup School Sydney course held? The course is held at our makeup college in Sydney’s CBD at 128 Castlereagh St Sydney NSW 2000 (opposite David Jones and Westfield). To become a makeup artist in the fashion and wedding makeup industry, you need to complete Design and apply makeup (SHBBMUP002) as one of the Units. You will need to comprehend the technique of at least 6 core makeup looks. After completing this course, you then need to create a professional portfolio of your work. Please ask us for details on how Portfolio Productions can help you. Once you have about a dozen pictures in your portfolio, you can take it to a makeup Agency. If they like your work, they will then promote you in the fashion industry. You can also set up your own website and present your work online. What should I wear to the Makeup School Sydney course? Our makeup academy recommends you wear dark clothing to the course, and something you don’t mind getting some makeup on. Black is the preferred colour and is what most professional makeup artists wear on the job. Should I wear makeup to the Makeup School Sydney Course? Yes, but keep it subtle! How do I choose the BEST MAKEUP PRODUCTS? Jay Jay’s Makeup School Sydney course will teach you what to use. Product knowledge comes from both theory and experience. It’s only through experience that will you understand what products have the best texture for the client, and are best for each particular situation. At Makeup School Sydney you will learn that the most expensive is not always the best and that more affordable makeup can be as good as the most expensive. What is the difference between makeup for fashion, wedding makeup and makeup for catwalk modelling? Makeup for catwalk modeling is slightly different from fashion modeling. The makeup artist always consults with the brand’s Fashion Designer to see what “look” he or she has in mind. In the catwalk situation, the models are on stage and are some distance from the audience. The lights are also very bright. The makeup has to stand out more and therefore the colors need to be a little stronger and bolder. Generally, a little more powder may be used to remove any shine from the hot, bright lights. Jay Jay is a fully qualified makeup teacher and teaches these approaches to makeup at the Makeup School Sydney. How is makeup affected by hair style and colour? Makeup technique is more influenced by the look of the hair, rather than the style. Clients often indicate a particular hair color that they like. The makeup artist considers this and the color of the eyes and then formulates both a hair ‘look’ and a palette of colors for the makeup. Jay Jay is also a hair stylist with 25 years experience. She teaches how makeup is influenced by a hair in the Makeup School Sydney course. After I have done the Makeup School Sydney course, what are my opportunities, especially in the wedding and fashion industry? Once you have completed Apply and Design Makeup from Makeup School Sydney, you have the accreditation and skill to work in any area where makeup is required, except Special FX makeup. 1. In the fashion industry, makeup artists prepare models for still photography, TV commercials, magazine and catalogues, fashion events and catwalk shows. 2. In the wedding makeup industry, the makeup artist prepares the bride and wedding party. The wedding industry is consistently busy and offers good remuneration for Makeup Artists. Most Makeup Artists work in both fashion and weddings. Both require the same knowledge and practice of beauty hair and makeup. At Makeup School Sydney, Jay Jay also provides information about the fashion industry and advice on how to set up your own makeup business. Can I work as an intern after completing the Makeup School Sydney course? Jay Jay offers work experience opportunities to her students after they complete her course. They come on work experience with her and watch her on the job which gives them a lot of valuable ‘real life’ working experience. Jay Jay is confident any attentive student who diligently practices has the knowledge and qualifications to be able to quickly and confidently make any client look their best. When she is unavailable, she happily refers many of her students for jobs, including makeup for weddings. What type of people want to become Makeup Artist by doing the Makeup School Sydney course? Students who attend our Makeup Academy in Sydney come from a wide variety of backgrounds: professionals wanting a career change, executives wanting a less stressful job and housewives wanting some part-time work. The course is also popular with nurses seeking a more convivial job, and school leavers who want a less conventional career and an interesting and well-paid lifestyle. Some even do it for a hobby! What makeup courses are there to choose from? Makeup School Sydney did extensive research in Sydney before developing their course. They found that many makeup courses were conducted after business hours and were not accredited. Many ran between 9 weeks and 9 months and cost between $3000-$9000. Some courses also required students to buy the course’s own brand of makeup with a minimum purchase of between $500- $2,500. Why choose Makeup School Sydney? Makeup School Sydney’s courses are conducted over a shorter time frame than other courses. For that reason they are more intensive than others, (see Course Details). 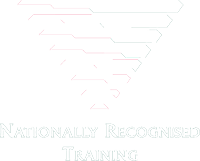 This enables students to more quickly get the qualifications and experience they need to practice beauty or wedding makeup. We offer only SHBBMUP002 Design and apply makeup and this is why our courses are shorter as they are mainly technique based. During the course, Jay Jay notes individual strengths and corrects weaknesses; so that every student completes the course with total competence in every aspect of beauty makeup. Makeup School Sydney’s course is less expensive than others. Jay Jay demonstrates the best of all makeup products that are available. She doesn’t insist that her students use only one line of products. The teacher, Jay Jay Rauwenhoff, is a working Makeup Artist with 23 years experience and with a large client base of models, celebrities, and magazine clients. She knows exactly what the current styles and latest techniques are. Because she is a practicing Makeup Artist, students who have completed the Makeup School Sydney course have the opportunity to work with her on larger jobs. She also refers business that she cannot manage to students who have completed the course. Jay Jay also has qualifications in business and events. She can provide a lot of advice to students about developing their own business. When is the next Makeup School Sydney course? Course dates differ per month and classes fill quickly, please enquire at the Contact Us Page for details on future course dates, and answers to your questions. What is the cost of the Makeup School Sydney course? The Intensive and the Extended Courses cost $990 for a limited time only whilst places are available. This is a special offer for a limited time only. Once this offer expires, the course will revert to its normal price $1500. DO NOT MISS OUT! ENQUIRE TODAY! A deposit of $250 is payable when you apply and is deducted from the full amount on commencement. If a student can not attend the course they can cancel and receive a full refund until 3 weeks before the course commences. After that the deposit is not refundable. If you refer a friend that starts the same course as you, you will both receive a discount of 10% off your course fee. This is great value. And there is no better way to do a course with your friend. To make an inquiry for your career change or a new career, please go to the Contact Us Page and fill out your details. Jay Jay will try to respond within 48 hours. Thank you for your interest in Jay Jay’s Make Up School of Sydney specializing in wedding Makeup, Fashion, Shows and TV.